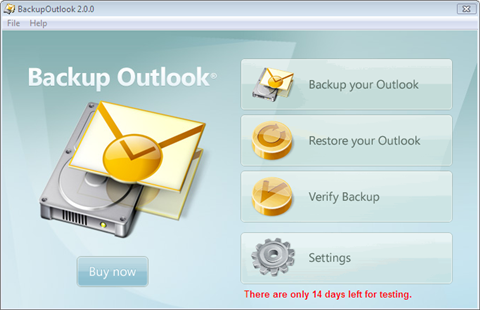 you see the Start Screen of 'Backup Outlook'. All entries are selected by default. When you are ready with your selection, then click on 'Next'. to go to step 2. Now you can adjust the settings for the backup entry. First choose the location where you wish to save the backup file. Finally you can secure your backup with a password if required. 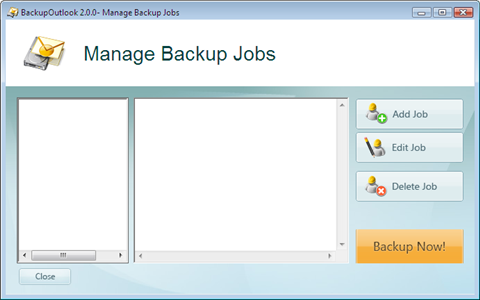 In this final step, you choose a name for the backup entry. You can also optionally add notes to describe the backup content. This can make restoring data easier. 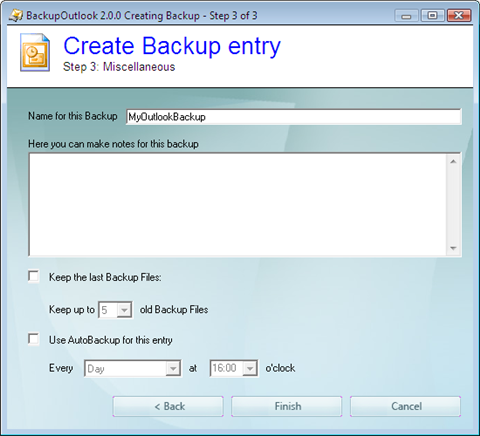 BackupOutlook also allows you to keep the last x versions of your backup. This is an extremely effective safety net, should you accidentally overwrite your single good backup with a bad one. "I just had my computer fail yesterday. Luckily, I had backed up Outlook that day using your Backup Outlook program! 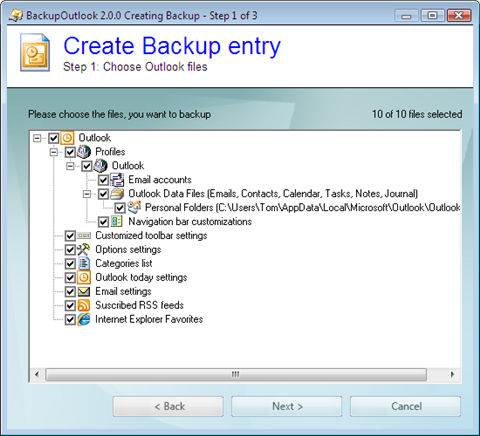 I simply installed my purchased Backup Outlook program on the new computer, and once I got Outlook email running, I clicked the restore my files button from Backup Outlook, and bingo, all my history and recent email files are in the new Outlook, including those emails in the In Basket I had not yet attended to. "I recently had major problems with my laptop and wound up having to do a clean install. 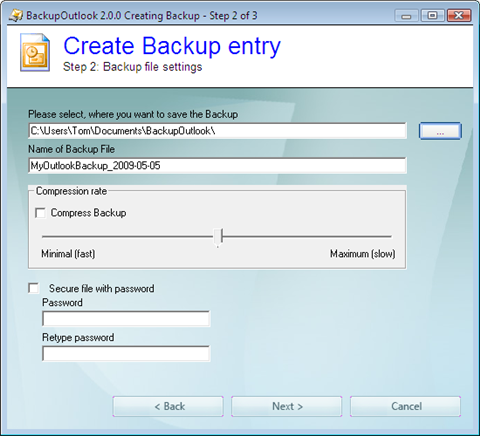 Before doing so I used the BACKUP OUTLOOK utility. I am so amazed! I reloaded the files I backed up using that software and everything is perfect! Everyone using Outlook should know about this program. As a matter of fact I am sending out emails to IT managers I know to inform them of this wonderful application!! "Your program is GREAT! It saved me days of work by restoring my settings and accounts. "Frank T.